Get a £1,500 voucher to spend on the latest Ducati Apparel or Accessories when purchasing a brand new Diavel or XDiavel at Ducati Manchester before December 31st 2018. 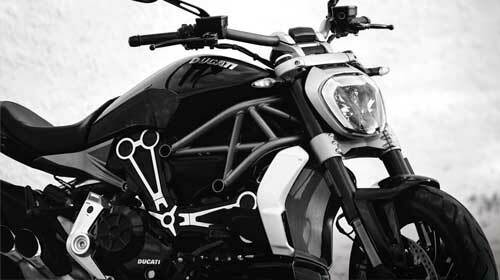 Contact us today to book a test ride or for more information on the Diavel and XDiavel range. Valid with the purchase of new Diavel and XDiavel models – MY18 only – excludes pre-registered or ex-demo bikes. In-store voucher may be used against the purchase of genuine Ducati Performance Parts / Accessory or Apparel items in-store only, either in full or as part payment towards goods of a higher value. Voucher has no cash value and no change will be tendered. £1,500 value is inclusive of VAT. Voucher to be redeemed by December 31st 2018.